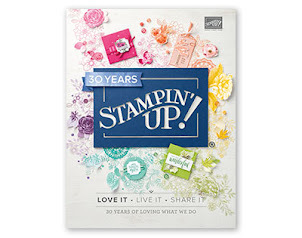 Stampin Up news -- bonus days are here! I hope you have found time for some summer fun. I have! Card class tonight (July 19th) features thinking of you/sympathy cards; contact me ASAP to reserve a spot! Bonus days are here! Now through July 31st for every $50 you spend (before shipping and tax) you'll receive a $5 coupon from Stampin Up via email to use on any order placed August 2 -31st, no limit on the number of coupons you can receive on a single order (or from multiple orders) and you can redeem them all on a single order (or several orders) in August -- Yay! Saturday, August 20th, 10am-1pm, make 12 cards (4 each of 3 designs); cards will feature birthday and hello baby sentiments. Cost is $35 and includes 12x12" Blooms & Bliss designer series paper (#141654) and coordinating cardstock pack (#141655) so you can make even more cards at home! RSVP with payment due by August 1st to reserve your spot. Never heard of a product share? It's a great way to purchase a sampling of a lot of new products at an affordable price; each share slot is $45 (need to fill 4 slots per share; the first share is almost full-- just need 1 more person). Contact me ASAP to reserve your share slot! Tuesday, July 19th 7-9pm, theme sympathy/thinking of you; make 4 cards (2 each of 2 designs). Tuition is $10 or free with a minimum order. Monday, July 25th, 7-9pm, theme TBD; make 4 cards (2 each of 2 designs). Tuition is $10 or free with a minimum order. Monday, August 1st, 7-9pm, theme TBD; make 4 cards (2 each of 2 designs). Tuition is $10 or free with a minimum order. Tuesday, August 16th, 7-9pm, theme TBD; make 4 cards (2 each of 2 designs). Tuition is $10 or free with a minimum order. Choose me as your Stampin Up demo when you subscribe (or use the link below to automatically select me) and you get a free crafting night every month. Bring your kit to my house and get your pumpkin on! Pumpkin kit night is held at the end of the month, 7-9pm; the upcoming Pumpkin nights are July 28th and August 29th. Click here to subscribe (links to me) and join the fun. But wait, there are more perks for subscribing! Only kit subscribers can purchase kit refills and additional kits (while supplies last). Sign up today!